Hiding on the far side of a feeder doesn’t always work. 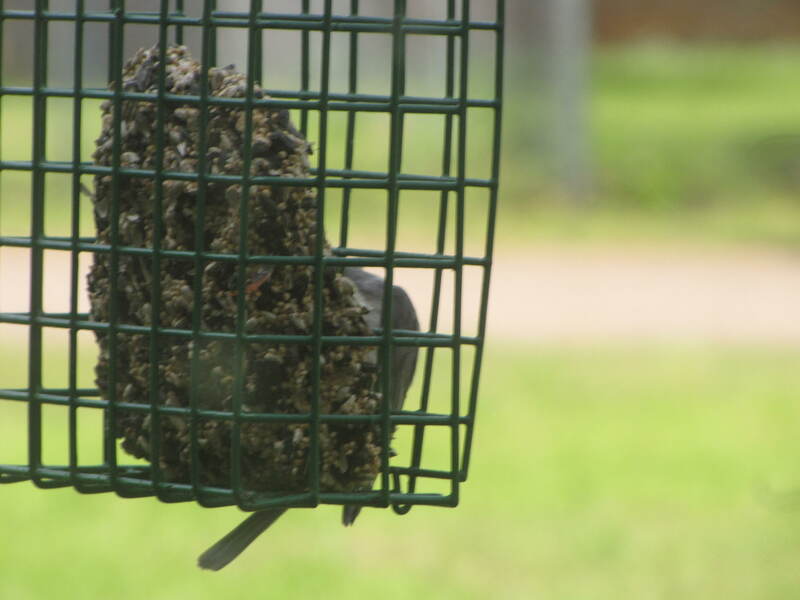 With bird feeders, and seed blocks especially, you really begin to learn how to identify birds by their tails. Some birds spread their tails out while others neatly stack them. Then there is the positon that they hold their tail in (up, down, straight out). After a bit of time, you become familar enough with your local birds to be able to make a pretty good guess at identification from just the tail. This particular picture shows some of the body as well. 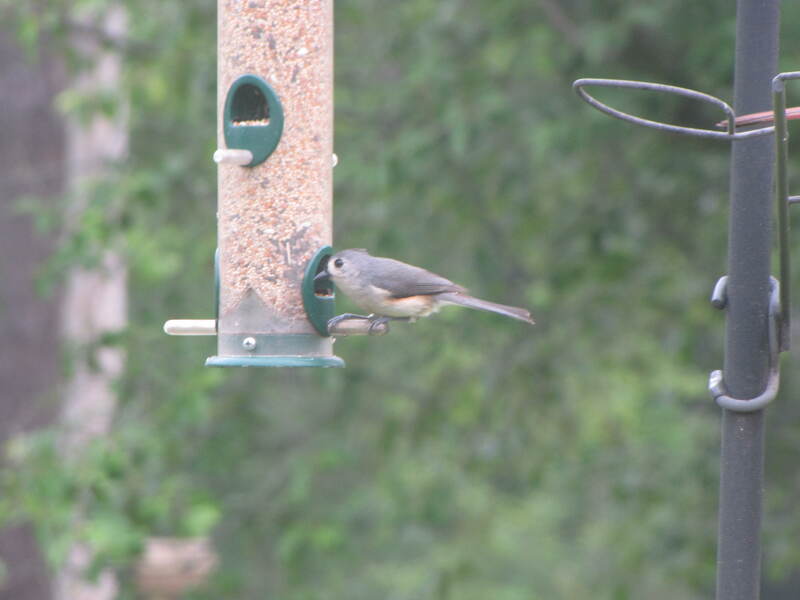 The bird in question is a Tufted Titmouse. The above picture is from one of our other feeders a couple of years ago. In the case of the Tufted Titmouse, it is the color combined with the mostly stacked straight out position that typically gives it away.